We recently talked to the people at Burpple about their app, and Dixon, co-founder at Burpple, shared with us Burpple's new feature: Burpple Explore. I've personally used Burpple on my own iPhone before, but didn't use it much as I preferred Instagram. However, with the launch of Burpple Explore and their Instagram integration, I just might start taking more food photos with Burpple! For our iPad rental customers to Singapore, we believe that this app will be a great way for them to find out more about dining locations nearby. As our iPads all come with 3G internet, our rental customers will be able to access Burpple's top picks nearby (pictured below). 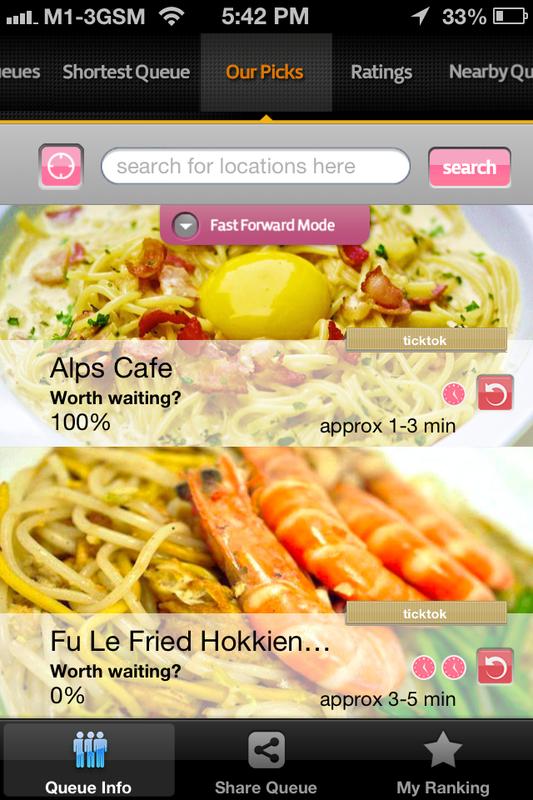 Burpple is a great app, with lots of international users, and an especially strong Singaporean user base. 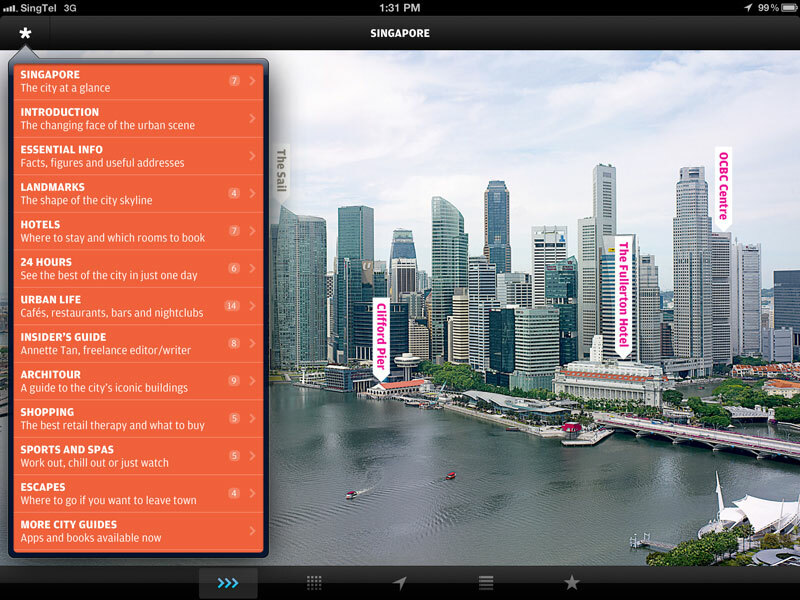 We believe that the addition of this app to our iPads will benefit Singapore tourists immensely. To rent an iPad, simply make your reservation online. To find out more about Burpple, visit their website. We recently met with the people behind Ticktok, and after hearing about their app, we are excited to feature the TickTok app on all our iPad rentals for Singapore tourists! Ticktok is a great app which allows you to find out about queue times for food establishments in Singapore, and has this special function where they tell you if a restaurant or hawker stall is "Worth the Wait". Junguang from Ticktok explained to me that queue times are an objective measure of a restaurant's popularity and can be a good indicator of which are the restaurants worth going to. As more and more people share queue times with the app, the information will become more and more useful to everyone! What we found very useful, and that we believe our tourist customers will appreciate, is their aggregation of food blog recommendations. Unlike print guidebooks, food blogs offer the latest updated content and reviews of restaurants, and that is why we link to several great food blogs on our TouristPads currently. With the addition of this app, we hope to provide a richer set of useful information to our iPad rental products. Read more about Ticktok here. Split-It! is one of the potentially most useful mobile apps that we've seen launching in Singapore these few months. Billed as a "location-based app that provides a safe and fuss-free way for users who are travelling to and from the same destinations to share taxis and split the fare", it promises to solve the problems of long taxi queues and redundancy over similar taxi trips taken by different people. Given that Singapore face traffic congestions issues everyday, we can see the value in getting people who are travelling to and fro the same places share their cab rides. One of the challenges for the company is for them to rapidly get user awareness and usage before network effects kick in to solidify the app's value proposition. Although it is free to use, not many people know about the existence of such taxi apps, and it may be difficult or even impossible for any single firm to drive the diffusion of awareness and acceptance of such a service. It might however be possible to grow awareness of the app amongst a niche group of people who face long taxi rides everyday (those working in the city). After talking to the founders, we believe that Split-It's team has the experience and resources to develop this new market for taxi sharing, and we wish them all the best of luck in getting their critical mass of users. Since the app is currently free to use, we're putting it on our TouristPads for a limited time to gather some feedback from our customers. 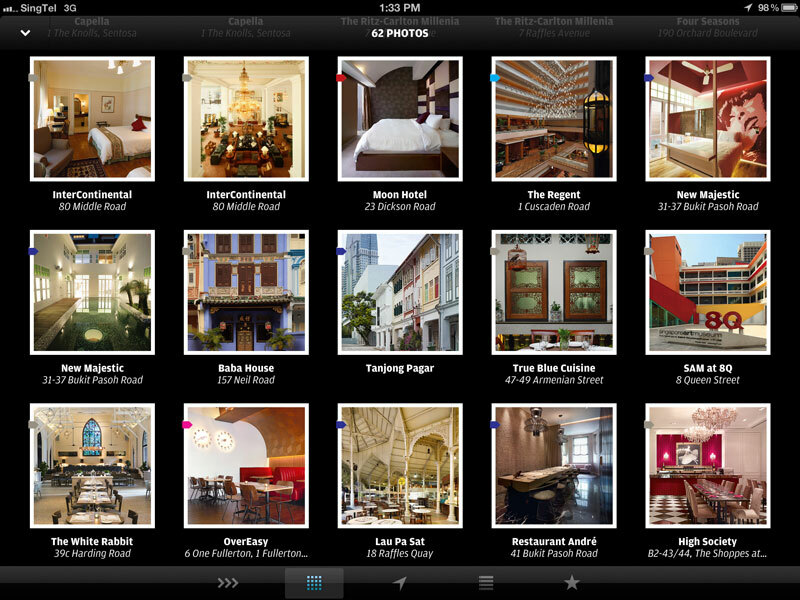 Singapore: Wallpaper* City Guide, is one of my personal favourite apps on our iPads available for rental to tourists when they visit Singapore. It is full of really gorgeous pictures of places of interest in Singapore, and, as you can see below, is tightly packed with up to date essential information, landmarks, hotels, shopping, sports, and what to do, to name a few features. For example, the essential information sections lists the numbers and addresses of useful places and services like the Tourist Office, Transportation Services, Emergency Numbers, Embassies, Postal Services, and Cost of Living indices. The guide is conveniently integrated with Google Maps, so that every attraction they feature is mapped, and you can find you way around very easily from within the map since you can also locate yourself. In the picture below, you can see that KPO, a nice place to chill out with food and drinks, is plotted on the map together with my current location. 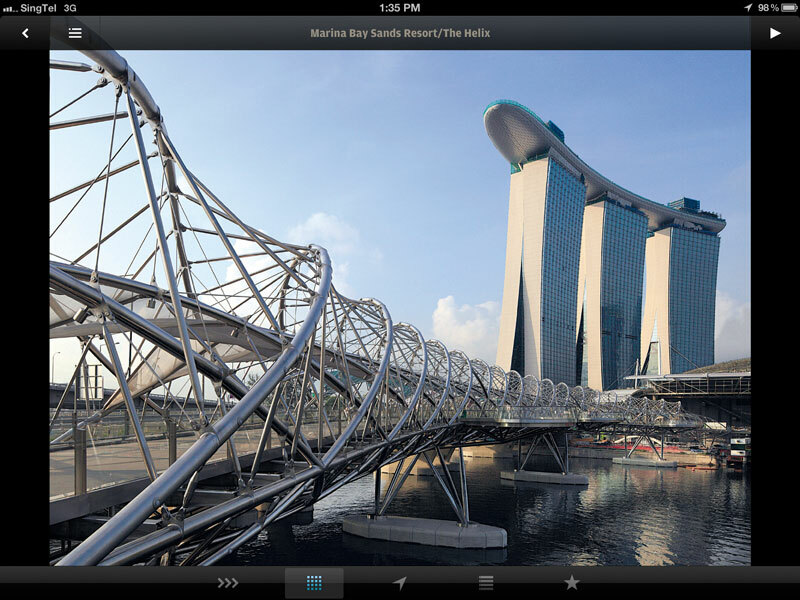 The app also features over 50 images optimised for our new iPad's Retina display of amazing architecture in Singapore. I've included a screenshot of how the photos are laid out and a picture of MBS. Here's a sneak look at iOS 6 on the new iPad and what are the cool features that it brings which will be of use to the tourists renting our TouristPads. 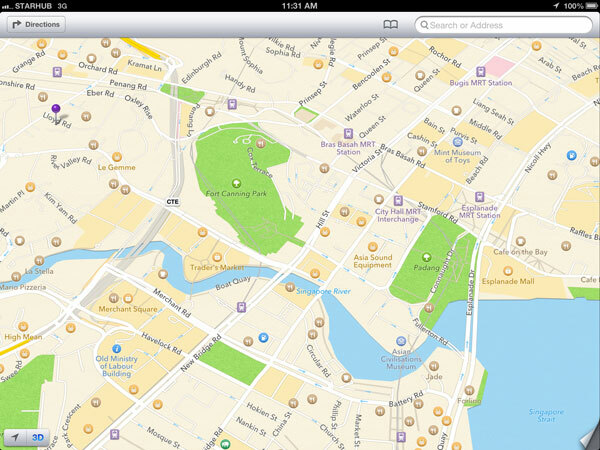 Apple Maps has replaced Google Maps as the native maps app in iOS, and I must say it looks prettier now. The icons indicating roads, train stations, restaurants, hotels, museums, to name a few, have a much better design compared to Google Maps'. There's a 3D mode where you can see the map in perspective, which should help you find your way around even better. Better than a physical map, this map actually shows you where you are all the time. Never get lost again. Now even better! Facetime over cellular is also exclusively available on the new iPad (3rd generation). Tourists will be able to use their Facetime account to (video) call their loved ones on Apple's networks without the use of Wi-Fi, which means that you can now make calls anytime, anywhere back home using FaceTime. Note that with Skype preloaded, you can also make phone calls via Skype on 3G cellular anytime anywhere with your Skype account to any number in the world. Say byebye to roaming mobile costs when you use our iPad rental service for your stay in Singapore. Tourists who bring along their laptops and other smart devices are going to love their rental for this. Personal Hotspot is now enabled on our TouristPads, which would allow you to connect all your devices to the internet through the wireless hotspot on our new iPads. No more fretting about finding a wireless hotspot at your hotel, or on the go anywhere in Singapore. Comes with all our rentals! Even as a local living in Singapore for a quarter century, I must admit I still do not know how to get to many places in Singapore. I still remembered the days when technology wasn't that advanced and every time we wanted to go out, we would memorize which train/bus to take, where to alight and change transportation. Then, I held a little blue notebook around, jotting down important bus service numbers as well as major landmarks to help me find my way. I am glad to say, those days are over! These days, Singaporeans are so blessed with a smart device on hand and 3G on the go, they could simply find their way with just a few touches on their mobile screens. Moreover, they are many apps that are created just to give you directions to your desired destination. I would like to share with you my favourite - the gothere.sg app. This app not only offers accurate details on how to get to places, it is also kind enough to offer the user many alternative routes with the approximate cost and time! This will allow the user to choose the best way, according to the time and money on hand. Just arrived in Singapore and wondering what's the best way to get to Esplanade? To save the trouble, why not just pre-book our iPad rental service and we will hand deliver a TouristPad to you once you exit the custom gates. From there, you can gothere, the best way. Ever since I came back from the US, I’ve been having an insatiable craving for local food. That’s one big reason why I love Singapore – it’s a heavenly place for people who live to eat. Now that my US trip has burnt a hole in my pocket, I’ve been determined to feast on foods that are more wallet-friendly. Thanks to the hundreds of hawker stalls in Singapore, you won’t be missing out on great food even on a tight budget. Ieathawker is the app I just downloaded on my iPhone. With instant access to over 460 hawker stalls, it’s an awesome way to find good local food quickly when you’re on the go. 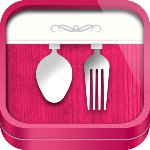 Search based on food categories and get ratings, photos and write-ups on each dish. Better yet, find out how to get there or check out which food centres are near your current location. 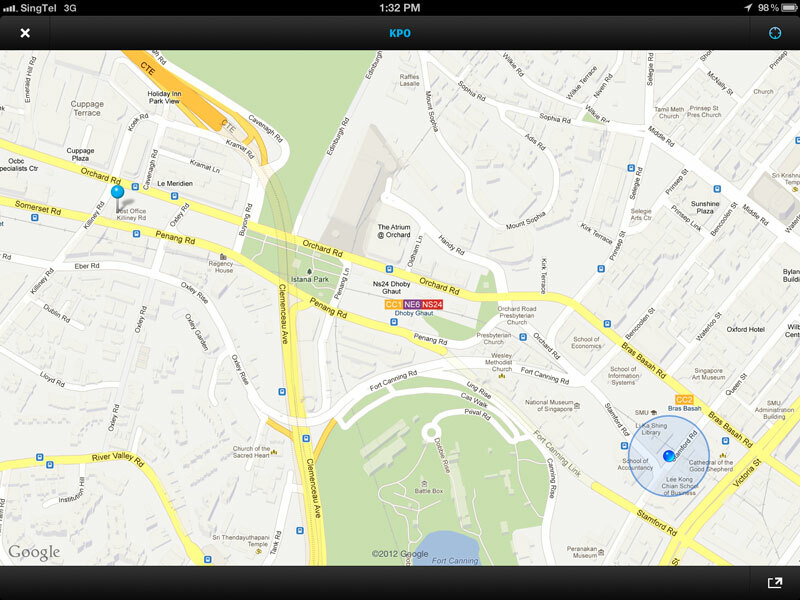 The Ieathawker app is also available on our TouristPads. Rent one now and get your hungry on! Newsloop, a Flipboard-like app for Singaporean content and news, has just been launched. It is an aggregator of local news, blogs, and content, and has a pretty good user interface. After testing it on our iPads, our verdict is that it is quite useful for browsing through interesting local and international news, and has quite a number of useful categories of content which the user can select. Currently only an iPad app, we are making it available on all our TouristPads, and we believe that it will be of much value to our iPad rental customers when they visit Singapore. Picture caption: We also like the fact that a write up of our iPad rental service is featured on one of their content categories.